MIAMI--(BUSINESS WIRE)--Bruno Piquin, a longtime health care leader in South Florida, has been appointed Market President of CarePlus Health Plans, which currently serves more than 111,000 Medicare Advantage members across 19 counties in Florida. A subsidiary of Humana Inc. (NYSE: HUM), CarePlus has been operating in Florida for 15 years. In his new Miami-based role, Piquin reports to Humana Vice President and Division Leader Kevin Meriwether and maintains his responsibilities as the company’s leader of its Puerto Rico operations. Piquin most recently served as Humana’s Divisional Leader of the Northern Division and Puerto Rico for Senior Products, which included managing overall financial performance for 18 states spanning from New England to the Northwestern United States. 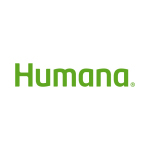 Before joining Humana, Piquin served in a number of leadership roles within the health care industry, including Chief Operating Officer of Windsor Health Group and Chief Operating Officer of the Senior Products Group division at Amerigroup Corporation. He also held several executive positions during his 15 years in South Florida at UnitedHealth Group, and gained significant experience working with United/CAC-Ramsay and with CAC-Florida Medical Centers before Humana acquired CAC and CarePlus. Piquin received a bachelor’s degree in Finance, Insurance, and Risk Management from the University of South Carolina. He also earned a Master of Business Administration degree with a concentration in Executive Management from the University of Miami. Piquin served on the Board of Directors for Best Doctors, Inc. and is a current member of the Health Care Advisory Board of DST Health Solutions. He and his family reside in South Florida. About CarePlus Health Plans, Inc.
CarePlus Health Plans, Inc., a subsidiary of Humana Inc. (NYSE: HUM), is a recognized leader and innovator in health care delivery that has been in operation in the state of Florida for 15 years. CarePlus is committed to enriching the health care experience for consumers and business partners through the provision of Medicare Advantage and Medicare Advantage Special Needs HMO health plans. Based in Doral, Fla., the company offers a broad choice of Medicare Advantage plans and has more than 111,100 Medicare Advantage members located in 19 counties throughout Florida. People who are Medicare-eligible can find out more about the CarePlus Health Plans by contacting 1-855-846-1685 or visiting www.care-plus-health-plans.com.